Another Drax files Radio Hour episode! kaya angel is a well-known and respected content creator in second life. his recent video where he shares his passion for creation and community is a great testament for the uniqueness of a user-empowering virtual world. nonny & her best friend at sundance [pic courtesy of engadget] – nonny was on our show [episode #24] with some real depth and context. re-listen if you will, now! Due to an (yet unexplained) glitch, there were some teleporting issues for SLGo users today. You may be aware of an issue in SL Go for those using the Second Life Viewer (SLV) that prevents teleporting. This does not affect Firestorm users. 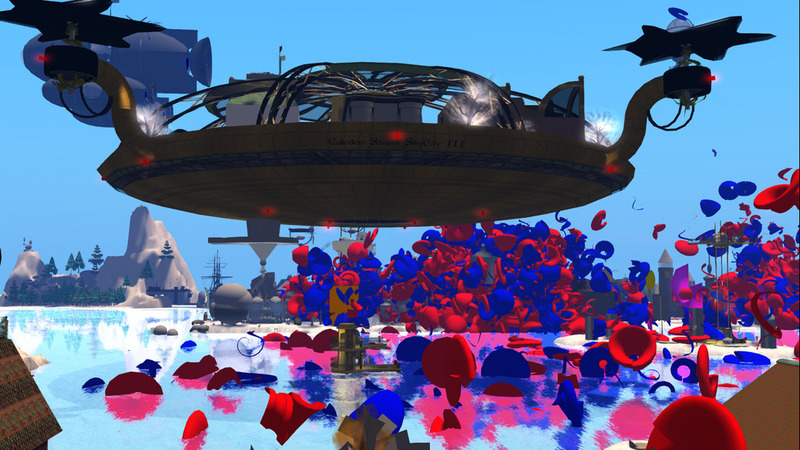 Only the Second Life Viewer is affected, which is available on PC/Mac, iPad and Android tablets. We understand this has been an inconvenience for many of you. SL Go has had a stable version of SLV for many months, and this problem was not due to any changes on our end. We are working with Linden Lab to resolve the problem as quickly as we can. We understand your frustration and apologize for the inconvenience. We will give all SL Go subscribers a free month of SL Go to make up for time lost. The next time your subscription renews, you will not be charged. 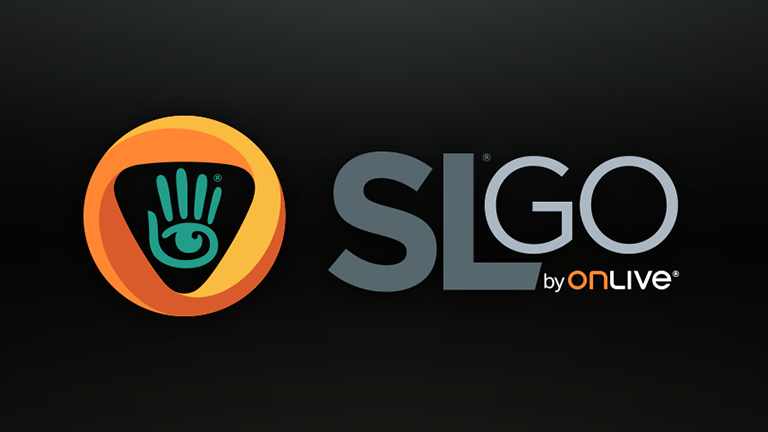 Our goal is to continuously improve the SL Go experience. We are committed to our community in Second Life and hope that you will continue to enjoy the benefits of SL Go. The problem didn’t stir its ugly head in the Firestorm version of SLGo. Quite an annoying problem, but it is rather nice that they send out this message and even nicer that they gave us a month free of SLGo! Make sure you also read my previous blog on SLGo photography here. 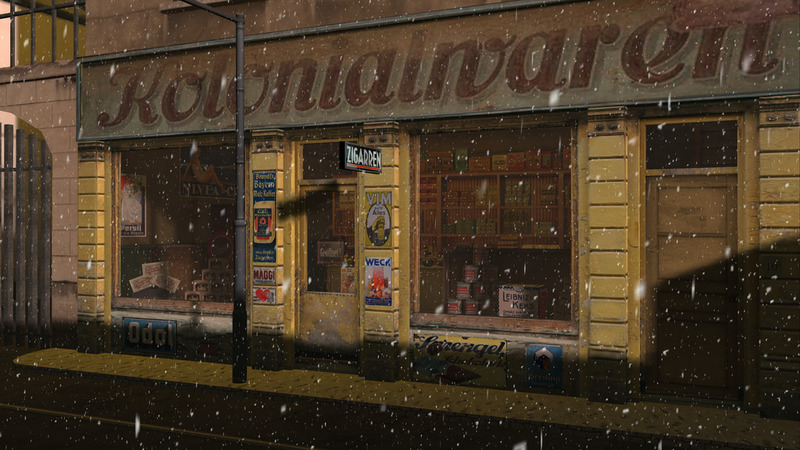 sI’ve always loved making nice snapshots in Second Life, or the art of ‘virtual photography’. But if you want to make pictures that look real nice, you need a big fat super duper computer and wonderful internet connection, not something we all can afford. Until now this has kept good top level SL photography a hobby and even job for the lucky few. And even if you have a pretty good computer, like I do, making photos at busy events in laggy sims with all the bells and whistles such as wonderful light and shadows… things start to slow down dramatically and sometimes makes it even impossible to work. Getting things to look just right for a great picture has always been quite an effort and/or required a lot of patience. Recently I’ve been using SLGo a LOT more, thanks to the addition of the Firestorm viewer. But I’ve also started using SLGo to make snapshots in SL and although at first I thought SLGo would not be very suitable for this, I’ve now changed my mind and truly love doing it. I’d go as far as saying that SLGo has made me fall in love with SL photography again. Because SLGo allows me to make pictures with the full ultra settings my computer barely manages without any lag or even slowing down SL. And best of all, it even allows me to do this on my 5 year old Macbook! You can take a look at all my SLGo made snapshots here in my Flickr album. Although I generally prefer to first check all snapshots before I put only a selection online, I no longer really need to do this because the odds of grey avatars popping into the frame has gone down drastically thanks to SL improvements but also the amazing speed of SLGo. Still, SLGo is not (yet) perfect and if you decide to start using it for photography there are a few things to keep in mind and suggestions that could improve the experience. Even though you don’t really need to check pictures before uploading them, I am sure many people still would like that option, if only to pick the best of the series you’ve made during an event. You can’t save to your disk so either email them to yourself, an option that I’ve found can cause quite a few errors when the image is big. So I prefer sending them straight to Flickr, which makes them public right away. I think it would be great if an extra option was added to the upload window of Flickr that allows you to set it to public or private. I am not sure if this is something the Firestorm viewer must do or the SLGo people or both together. But this way you can send a whole load of pictures to Flickr and then sort out the bad ones. Another thing that is a bit annoying is that the photo window doesn’t remember all your settings. It remembers the Metadata (name, tags, etc) which is great, but it forgets the custom settings. I like making big pictures of about 3000 pixels and I don’t like having to set that every time I want to make a photo after I’ve logged off. It would also be great to be able to choose a group or album you want to upload your pictures to, even though of course this does add a risk of flooding a group. Comparing a sceenshot of my computer as it looks to me and a screenshot as it looks after I uploaded to Flickr. A bigger problem, one that might not be easily solved because it involves your internet connection I think, is that quite often the image on my screen gets a bit fuzzy. 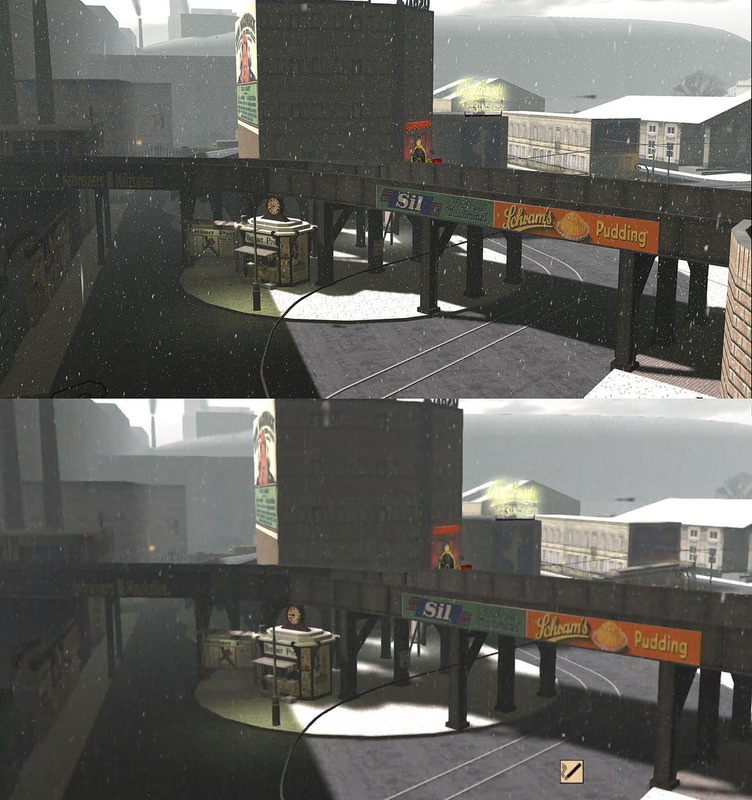 This isn’t a problem when you’re gaming and running around shooting, but if you’re making a photo it can be quite annoying, especially if you’ve got depth of field activated which purposely makes part of your screen fuzzy and you may find it hard to figure out which fuzziness is good and which is bad. It would also be nice to be able to increase the resolution of the window. Because right now my screenshots look better than my live screen. Anyway, the disability to download textures to your computer made me at first think SLGo wouldn’t be very attractive to the many professional photographers in SL, but in the end it turns out to be not that much of an issue. This will allow us all to make brilliant SL screenshots and that in turn will perhaps help make people realise the SL graphics have actually moved on a bit from 2007…. Another thing I find annoying is that after a while of ‘inactivity’ you get logged off, which is understandable but SL is one of those programs you quite often keep running on the background while you do other work. A bit of photoshop, sending an email, all the time keeping an eye on the SL window or just using SL because you love listening to the music stream in a club while you work on something else… and then suddenly, you get logged off. And one last suggestion to the folks at SLGo, how about a SLGo Flickr group where we can all upload our wonderful screenshots? Just give the go ahead and I’ll set it up. One final request to all your photographers (to be) out there. If you succeed in making the most stunning SL pictures, make sure you share them and upload a few to Wikipedia Commons without any copyrights. Yes, that will mean people will be allowed to use them for whatever they want, but it will be great publicity for Second Life because this is often a place journalists look first when they need copyright free material for their articles, so that is why they sometimes end up with very very outdated screenshots. The ones I’ve uploaded there have already been used in articles, showing people that SL can look good and at the same time giving my sim some free attention. show #52: sl looks good today! 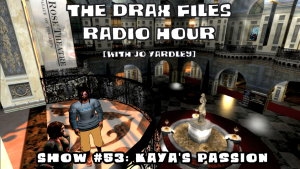 Make sure you listen to the latest Drax Files radio hour with me! show #52: sl looks good today!. It’s just like the good old days! Griefers managed to annoy thousands of people in Second Life today by rezzing rather ugly spirals that make noise and cause a hell of a lag, making life in these sims practically impossible. According to unconfirmed reports a huge part of the grid has been taken over by these spirals, LL knows who is behind them, I won’t name them or their group here, because they would probably like it, but it is also all unconfirmed. It seems the guilty party has not yet been banned from SL, or at least they still appear online. One of the (many) sims to suffer is the well known Caledon sim collective, thanks to SLGo I managed to visit, fly around and even take a picture before lag became too bad. With my regular viewer I doubt I would have been able to even take a single step. Go to a place in your sim that is HIGH up, most attacks don’t reach very high and with your draw distance set to very low, lag might be a lot less at high altitude, from here you can take further steps without drowning in lag porridge. It is a good idea to create a landmark for this spot so you can teleport here from outside the sim. In the region/estate window turn off ‘Allow Public Access’, this will remove all visitors and keep new people from arriving, giving you some peace but also keeps the griefers from returning. In the debug tab disable everything, this may bring down lag as well and may stop the griefers toys from working. In most cases this will help, but of course it depends on the situation and the type of attack. Let’s hope this one is sorted soon. If you have any other tips, ideas, suggestions or just want to share your griefer attack story, please do so in the comments. 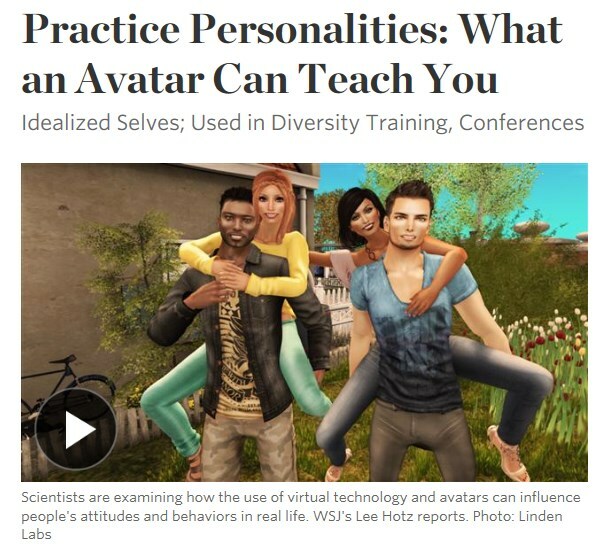 The renowned Wall Street Journal has published an interesting and positive article about the use of avatars and what how they look and act says about the people behind them. 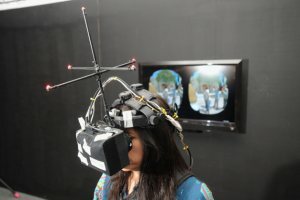 Although more common lately, it is still nice to read something positive about virtual worlds, avatars and Second Life. When people add extra inches to their self-image by making their avatars taller than they really are, the people can become more confident and aggressive in real-world negotiations. And when people make their avatars more attractive online, they tend to share personal information with strangers more readily, the researchers reported in the journal Human Communication Research. I made my avatar the same height and as attractive (or not) as I am in real life. But I am very much like my avatar, or she is like me. If you met me in SL and then in RL, you would probably recognize me but you would also recognize my character. You can read the article on the Wall Street Journal page by clicking here. I’m proud to announce that the 1920s Berlin project has sponsored two more ‘Stolpersteine’, little monuments in RL Berlin to individual victims of Nazism. The 1920s Berlin Project isn’t just a place where people roleplay, dance, drink and have fun. We also use our time travel experience to learn about the past and try and imagine what Berlin was like before the Nazis took over in 1933. 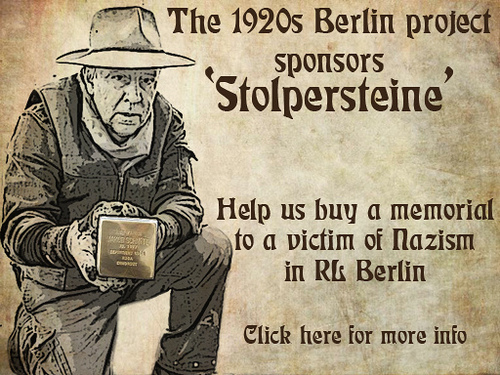 As part of our strong connection with RL 1920s Berlin, we have chosen to support an impressive project that commemorates individual victims of Nazism by sponsoring a Stolperstein. Throughout RL Berlin (and many other cities) you can find, or stumble over, thousands of these little brass stones in the pavement. These memorials commemorate individuals who were consigned by the Nazis to prisons, euthanasia facilities, sterilization clinics, concentration camps, and extermination camps, as well as those who responded to persecution by emigrating or committing suicide. Renowned German magazine ‘Der Spiegel’ has written an article about Second Life, Ebbe Altberg and I’m proud to say, our 1920s Berlin Project also got mentioned. I really like this magazine, as a little girl growing up with half my family being German I spend quite a few bored hours trying to find something to do and often ended up reading my dad’s ‘Der Spiegel’ because I finished my Mickey Mouse or Yps, a fantastic spy themed magazine with free toys every week, don’t get me started on how much I loved that magazine. But I’m getting distracted by nostalgia, typical. Anyway, ‘Der Spiegel’ is about politics and news, and uses lots of difficult words, so for me as a little girl, I generally had no idea what I was reading, especially as my German wasn’t very good. But they also had a lot of stories about History that I of course loved. It is great that this well known magazine writes about Second Life, reaching a huge (generally serious) audience in a country where a LOT of Second Life users come from. I wonder why SL is so popular in Germany, someone should look into that. 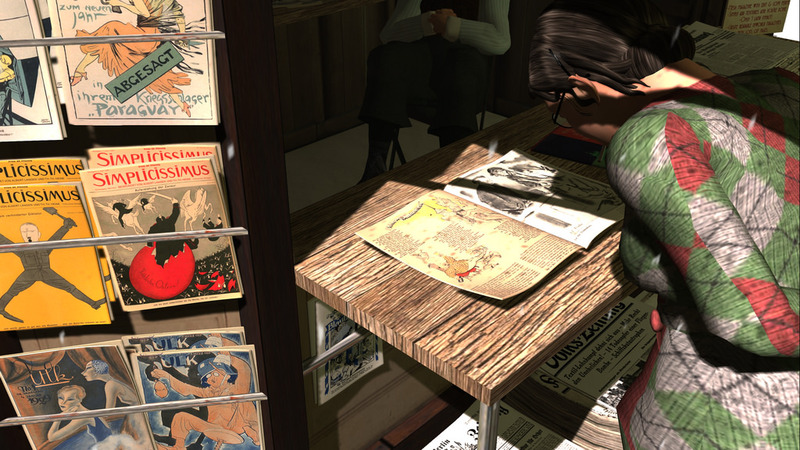 The article writes about the beginning of Second Life, the hype, the “fall” and its future. 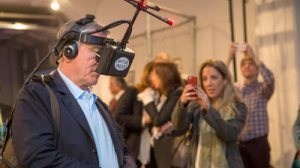 As usual Ebbe Altberg does a splendid job of defending our virtual world and explaining that it is so much more than the media, including the ‘Der Spiegel’ reporters, seem to think. They put too much emphasis on how (they think) Second Life failed. But it is great to read about Ebbe’s visit to Berlin, where he drops in now and then for a schnaps with the locals. He is still a foreigner in his own empire. “I only know a fraction, there is so much to discover”, Altberg swoons. Reluctantly he steers his avatar Ebbe Linden across the Alexander Platz in Berlin. 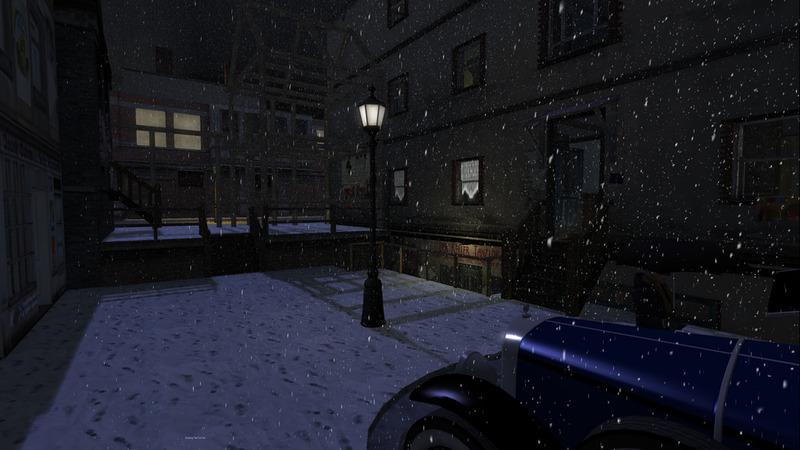 It is the year 1929, economic crisis – the laws of of space and time have never applied in “Second Life”. Crippled beggars, wounded in the battles of the First World War, sit in corners; on the walls are posters that call for strikes and revolution. Ebbe Linden runs towards the Brandenburg Gate and turns left to enter the Hotel Adlon, where every Sunday avatars meet up for swing dancing. The little history island in “Second Life” is run with loving care by Jo Yardley, a style consultant from Amsterdam, who has a different name in real life. Almost always this historic Berlin lies abandoned, which is perhaps partially due to the fact that Frau Yardley runs a tight ship. It is flattering to read this and I had to laugh when Ebbe mentioned being kicked out for wearing jeans. Don’t tell the Lindens, but they are the only ones who we allow in while ignoring the dress code, although we do of course try and talk them into putting on something suitable. However, it is also a bit frustrating to read that Berlin too is ‘abandoned’, because it really isn’t. Our traffic is pretty decent, especially if you consider what kind of sim it is, a historical roleplaying sim with a strict dress code. Yet we have a vibrant community and there are almost always some people running around the city. Of course, never enough to give you the feel of a real city and yes, there are moments in the day when we’re all in bed. But I wouldn’t call it deserted. Outsiders have to realise that the users of Second Life come from all over the world, there are moments in the day when most Berlin visitors are either in bed or at work. So it is a bit sad when a journalist visits at such a time and not during our daily happy hour at 2pm (11pm in Germany) or one of our many weekly events when there is usually a bunch of us having a dance, drink and chat. One more thing we have to remind journalists of when they come to SL. Or, inform us in advance when they are coming, so we can organise an event a little earlier and a few people can show up and let them witness our community come alive. In the interview Ebbe acknowledges that the tier is too high and that they want to change this in the future. He also shares that his current career is the result of a ski accident. Several years ago he fell and broke a few vertebrae, this ended his sports career and he become a manager. Ebbe makes clear that this radical change is not without risk. The journalist thinks that Second Life will become like Pompeii, abandoned when we all run t SL 2.0. With a last lonely tenant hiding in the ruins of 1920s Berlin. I must say I kind of like that image although I don’t expect this to happen for a few more years and of course as soon as Berlin becomes too empty to pay the bills, I will shut it down. You can read the complete article (in German) by following this link, unfortunately you need a subscription to read it. Thanks to Drax for translating it. Thanks to my dad for sending it to me.